Howsoever princes are not bound to give account of their actions, but to God alone; yet for the satisfaction of the minds and affections of our loving subjects, we have thought good to set down thus much by way of declaration, that we may appear to the world in the truth and sincerity of our actions, and not in those colours in which we know some turbulent and ill-affected spirits (to mask and disguise their wicked intentions, dangerous to the State) would represent us to the public view. Some ignore the impact of English and British history on Ireland and Irish History except when looking at them as a source of oppression. In many ways though, Charles I’s reign was a crucial one for Irish developments in the 17th Century. 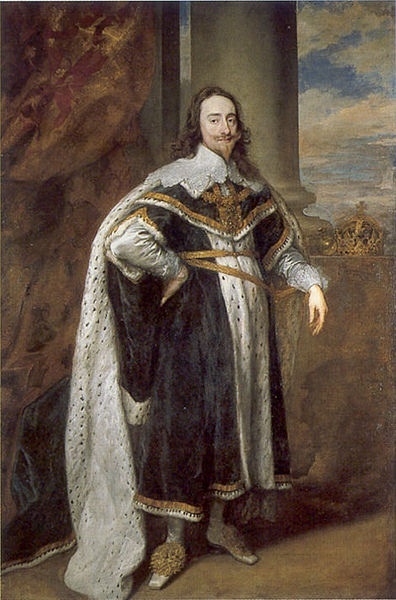 The course Charles embarked on in 1629, a personal rule that lasted for 11 years until he was forced by economic necessity to call another parliament, led almost directly to civil war in 1641 as more and more of his subjects became alienated by his rule and deemed it to be more tyrannical than benevolent. That civil war inevitably drew Ireland and the Irish of all persuasion into a conflict that proved devastating and when the victorious Parliament launched a pacifying invasion of Ireland in 1649, resulted in some of the most memorable events in Irish history and gives popular Irish history one of it’s great villains, Oliver Cromwell. Regardless of your view of Cromwell, his invasion and reconquest of Ireland changed the face of the island and ignoring the events that set in chain his rise to power seems foolish. Last revised by: John_Dorney19 September, 2010.